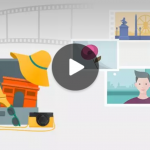 Sony has updated its Movie Creator app to newer 2.3.A.0.3 version over previous 2.2.A.0.8 version. 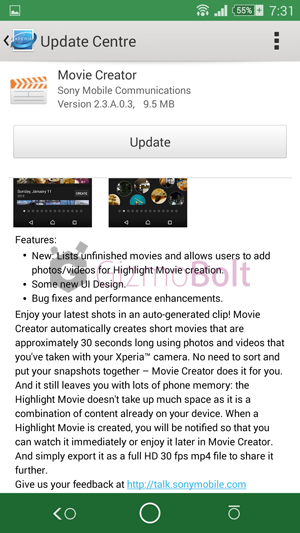 Movie Creator 2.3.A.0.3 update now lists unfinished movies and allows users to add photos/videos for highlight movie creation. 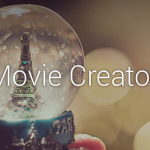 Movie Creator 2.3.A.0.3 update brings a little bit changes to the user interface and usual big fixes and performance enhancement. 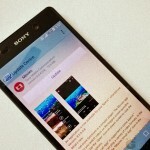 It is confirmed rolling on whole Xperia “Z” series handsets. 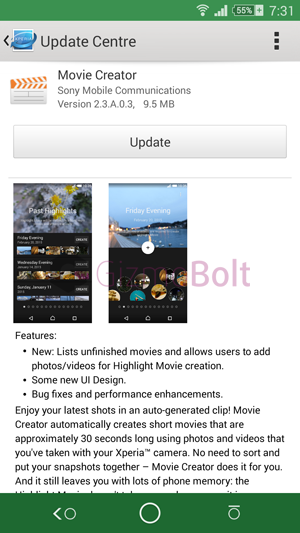 Movie Creator 2.3.A.0.3 update size is 9.5 MB, check your Update Center app for download notification. 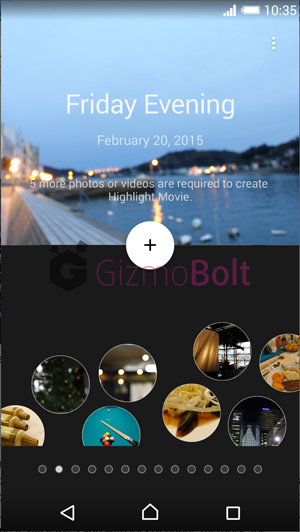 Download Movie Creator 2.3.A.0.3 apk from below and install normally. In this update Sony has used two screenshots and within screenshots we can see newer Android navigation softkeys. 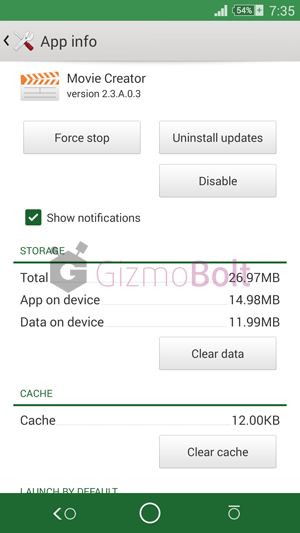 This could be from Android 5.0 Lollipop update from Sony. 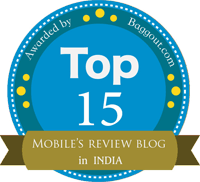 Check out below ( do notice that date is mentioned as 20 Feb 2015, may be Sony releasing Android 5.0 update at that time ). 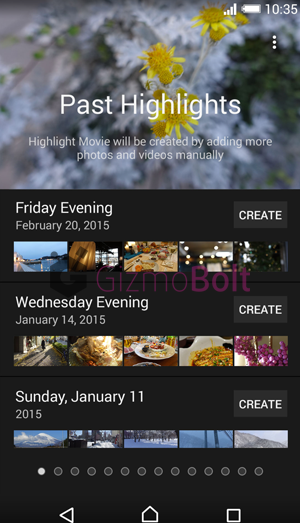 We would like to ask do you use this app to create your highlight movies ? Let us know, drop your comments below.